To present the results of our one-stage oral mucosa graft urethroplasty series for panurethral strictures. We included the first 35 patients who had one stage oral mucosa graft urethroplasty with one side dissection of the urethra which was described by Kulkarni, between January 2015 and June 2018 and had at least 6 months follow-up. From the first case, all data were recorded prospectively and patient age, etiology of the stricture, comorbidities, previous treatments, postoperative maximal flow rate, pre and post-operative erectile function, perioperative and postoperative complications and quality of life questionnaire for this study. The mean patient age was 58.8 and mean stricture length was 13.6 (10–16) cm. Patients had previously 1–17 procedures. Patients had a mean peak flow rate of 25.4 ml/sec at the first postoperative visit. During the follow-up period, six patients had recurrence and managed with urethral dilation (1), direct vision internal urethrotomy (2), meatoplasty (1) and re-urethroplasty (2). The responses to the questions about satisfaction from the surgery showed that 31 (88.6%) patients were satisfied with the surgery, 33 (94.3%) would prefer this procedure again, if needed, and 31 (88.6%) patients recommended this procedure to others. When patients were grouped according to age, recurrence rate was 35.7% in patients older than 65 years and 4.8% in patients ≤ 65 years old. 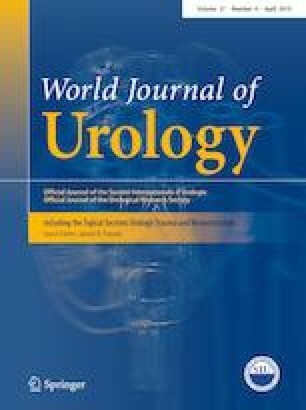 Our study showed that Kulkarni’s one-stage oral mucosa graft urethroplasty technique has a high success rate. The patient satisfaction is high because of the good functional outcomes and low complication rate. AEZ project development, data analysis, manuscript writing. YO project development, data collection, data analysis. SC project development, data collection. KK data collection, data analysis. ZA project development, manuscript editing. Informed consent was taken from all human participants included in this study.